We’d actually started working on a Mac version of Alto last year, but it was taking us longer than we had originally anticipated to get it just right. We wanted the game to be have like a natural Mac app (not just a quick port). 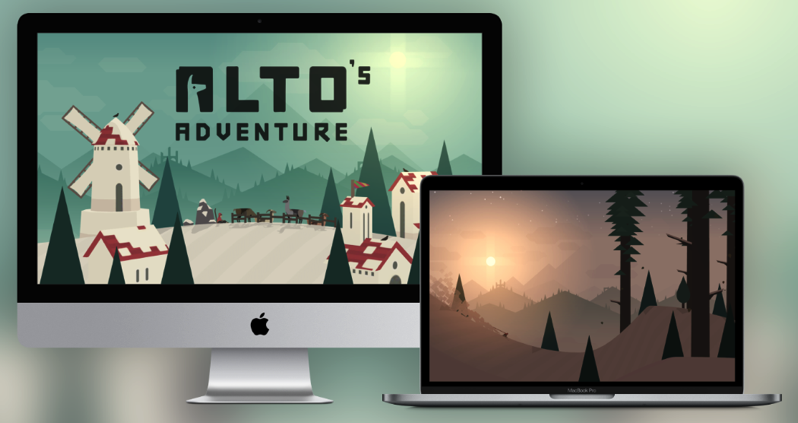 We’ve spent a lot of time making sure Alto feels like a proper, native Mac app (thanks Jason!). You can even play it windowed while you’re supposed to be working, or taking notes in class. Alto’s Adventure is priced at $13.99 CAD in the Mac App Store and comes in at a 52MB download. According to Snowman, “there’s a good chance” their newest title, Alto’s Odyssey–which launched back in February–will also be available for the Mac as well.